Twelve-week certificate of completion with state-of-the-art curriculum for law enforcement to receive training and certification in human rights policing. 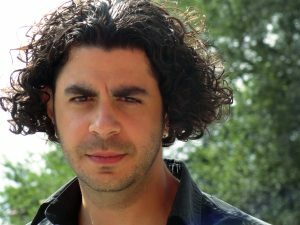 Peter Marina is a native son of New Orleans, Ph.D. graduate of the New School for Social Research in Manhattan, and current Associate Professor of sociology at the University of Wisconsin – La Crosse. His approach to sociology incorporates the striking dialectic of history and biography that allows him to penetrate and interact with a wide range of culturally diverse social groups — from Hispanic immigrants to police officers and down and out urban dwellers to religiously inspired residents of the inner-city and religious leaders in the Caribbean — in a quest to make empirical and theoretical sense of this rapidly changing, surprising, and highly contradictory late-modern world. Marina’s latest books include Down and Out in New Orleans: Notes from the Urban Underbelly with Columbia University Press, Chasing Religion in the Caribbean: Ethnographic Journeys from Antigua to Trinidad with Palgrave Macmillan, and Getting the Holy Ghost: Urban Ethnography in a Brooklyn Pentecostal Tongue-Speaking Church with Lexington Books. He is co-authoring another book titled New Hispanic Places: Immigration, Revitalization, and Urban Change in Post-Industrial New Jersey now under contract with Routledge Press. Marina is also the series editor of the new book series Ethnographies of Religion with Lexington Books. Peter Marina is a native son of New Orleans, Ph.D. graduate of the New School for Social Research in Manhattan, and current Associate Professor of sociology at the University of Wisconsin – La Crosse. His approach to sociology incorporates the striking dialectic of history and biography that allows him to penetrate and interact with a wide range of culturally diverse social groups — from Hispanic immigrants to police officers and down and out urban dwellers to religiously inspired residents of the inner-city and religious leaders in the Caribbean — in a quest to make empirical and theoretical sense of this rapidly changing, surprising, and highly contradictory late-modern world. He is also author of numerous books and academic articles as well as a book series editor for Lexington Books. Marina’s latest book Down and Out in New Orleans: Notes from the Urban Underbelly with Columbia University Press, is part of a series that is establishing a new genre in sociology and criminology called transgressive sociology. This book includes a forward from the eminent criminologist David Brotherton. In Down and Out in New Orleans, Marina examines the cultural life of the urban underbelly of a post-industrial, tourist-intensive economy to reveal how various members of the city’s new underbelly find subcultural solutions to the contradictions of late-modern capitalism. Revealing life in this underbelly required moving beyond standard sociological methodology. While conducting research for the book, Marina lived on the urban fringes and became part of the city’s new bohemians. He crept and crawled through the city’s modern underbelly – sometimes literally on his hands and knees, working menial jobs, scrounging for food, and living within the urban tribes in order to survive. Using Orwell’s Down and Out in Paris and London as a rough blueprint, Marina reproduced, as closely as possible, the conditions Orwell faced while down – but not completely out – in late 1920s Paris. The goal: to tell the story of post-millennium New Orleans and its culture of creative degenerates, vagabonds, artists, hustlers, low-lifes, transients, grifters, intellectuals, musicians, informal educators, druggies, skells, writers, gutter punks, goths, nihilists, and existentialists who exist beneath the radar in the city of New Orleans. This book is a transgressive sociology about the world of Lucky Dog vendors, members of the occult, local brass-band musicians, clowns with facial tattoos, burlesque dancers, buskers of all types, hustlers, freak show performers, odiferous beggars, even more pungent hipsters, and white middle-class bohemians rejecting the humdrum of conventional life. It takes the reader into the depths of a post-modern version of 1960’s Greenwich Village, the American mecca of bohemia where alternative society made new visions of culture. Marina takes the reader into the sights, sounds, smells, tastes, textures, and moods, of real events that transpire in the city of romantic nihilists living on the edge of a precarious existence in a city that – due to its geography and vanishing marshlands – is itself existing on a precipice. What James Baldwin in his Go Tell It on the Mountain is to Harlem Pentecostalism, Peter Marina is to Caribbean Pentecostalism in Chasing Religion in the Caribbean. His book is a brilliant, soulful ethnography with the excitement of analytical fireworks. Will you rise above the ethnographic ordinary? Start here. Marina’s ethnographic work on Pentecostalism in the Caribbean is outstanding. There are several features that make this book required reading for researchers of Pentecostalism including his descriptive accounts of a range of practices like healing, exorcism, speaking in tongues, social engagement, and many other features. The book fills an important gap in our understanding of the global phenomenon of Pentecostalism with its wide coverage in a region where very little is known. With this intimate, lively account of Pentecostalism in the Caribbean, Marina takes the reader right to the heart of the revival experience. Marina’s book is a must-read for anyone interested in contemporary religion, but more importantly: this book will move you. Marina’s first book, Getting the Holy Ghost: Urban Ethnography in a Brooklyn Pentecostal Tongue-Speaking Church with Lexington Books, published in a new paperback edition on October 2014 due to its success and was recently displayed at the August 2016 American Sociological Association conference in Seattle. It is now in 159 university libraries around the world and has received positive reviews from a variety of academic presses including: Contemporary Sociology (2015), Pneuma Review (2015), Religious Studies Review (2014), Pneuma: The Journal of the Society for Pentecostal Studies (2014), PentecoStudies, and Choice (2014). Getting the Holy Ghost focuses on how poor Afro-Caribbean residents of the inner-city use charismatic religion as a vehicle for empowerment, real or perceived, that shape the subjective experiences and meanings of poor and black urban residents in the rough and tumble neighborhood of Brownsville, Brooklyn. In a seemingly contradictory way, urban residents find empowerment while unevenly navigating and resisting contradictory doctrines that call for submission and patriarchy. Two endorsements follow below. Getting the Holy Ghost is a marvelous ethnography which takes us to the hidden places and strange raptures of Pentecostalism, the largest Christian movement in the world today. Peter Marina has a fine eye for both physical and social detail: he writes like a dream and his text springs to life. In places it reads like a film script. You feel you are there amongst the dancers, the singers the people speaking in tongues and you share both his attraction and disquiet for this movement to reclaim the supernatural from the cold rationality of conventional religion. Peter Marina presents a rare portrait of religious rites in a small community church in Brooklyn, New York. Marina’s skillful use of qualitative data based on first hand accounts, in-depth interviews and daily encounters with neighborhood residents tell an intriguing story involving ‘speaking in tongues,’ rites of aggregation, and a moving pathos that is part of the historical circumstance of African-American life since slavery. It is powerful ethnography where outsiders are allowed into an often hidden world in plain sight. It is a fascinating account, thoughtful, and dynamic that deserves wide praise and should be read by all interested in life in the city. Marina is co-authoring a fourth book titled New Hispanic Places: Immigration, Revitalization, and Urban Change in Post-Industrial New Jersey (Expected publication date: Fall 2017) under contract with Routledge Press. In this book, the authors examine Hispanic settlement in New Jersey focusing on urban politics and Hispanic diversity, urban revitalization, Hispanic cultures and barrio urbanism, and Hispanic city planning through organic urbanism. This work will challenge scholarship on Hispanic immigration. In addition to publishing academic books, Marina recently published two blind-reviewed articles titled “Buskers of New Orleans: Transgressive Sociology in the Urban Underbelly” in the Journal of Contemporary Ethnography and “Becoming a God Hunter Towards Conversion in a Brooklyn Tongue-Speaking Church” in Social Compass. “Buskers of New Orleans” reveals the less-seen spaces of New Orleans, intimately depicting the social life of the new creative urban buskers through sociological analysis and reflexive ethnographic interpretation. Revealing the underbelly of New Orleans requires full immersion into the subcultures of buskers through performances as a street clown, pantomime, and glass stomper. “Becoming a God Hunter” examines the religious experiences of inner-city black residents and argues for new approaches to understanding religious conversion in late-modernity. Marina is the series editor of Ethnographies of Religion with Lexington Books. He works collaboratively with the press’s acquisitions staff to build a robust series that has an impact on the sociology of religion. This long-term relationship with the press has the goal of publishing three to five high-quality books a year.